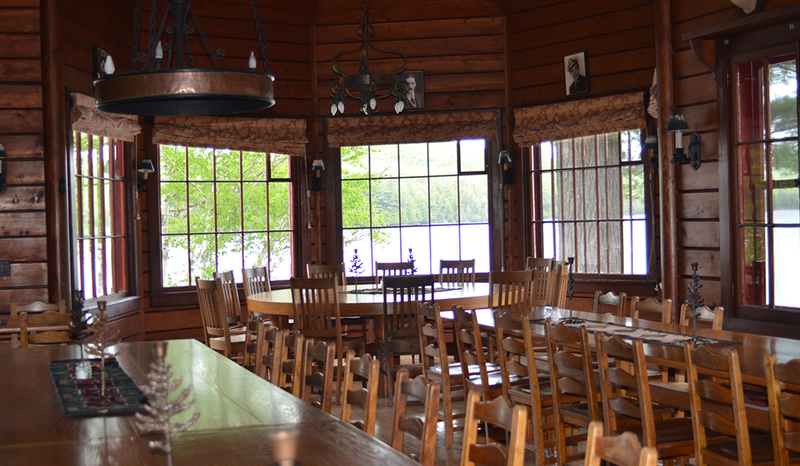 Great Camp Sagamore is a perfect venue for your organization's next retreat or business conference. Truly "away from it all," Sagamore does not have cellular phone service and provides high-speed internet only in specific locations. Optional activities include canoeing, swimming, and other water activities on our secluded lake, wilderness hikes on our extensive trail system, and educational programming related to historic Great Camp Sagamore. There are three (3) large meeting rooms capable of accommodating 20+ people, and additional break-out spaces. We can sleep up to 36 attendees in single occupancy, 72 in double occupancy, and provide all meals in our dining hall. *We cannot guarantee the date you have selected, but will do our best to accommodate you.